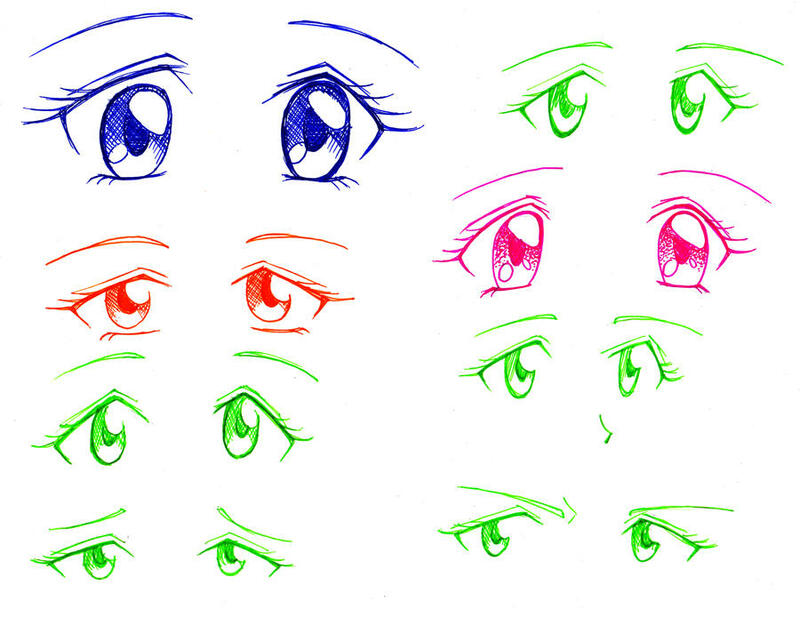 Undeniably one of the most characteristic things of anime, the eyes! No matter if something has the most unique art style, one good hint that a work is a manga or anime is the eyes. 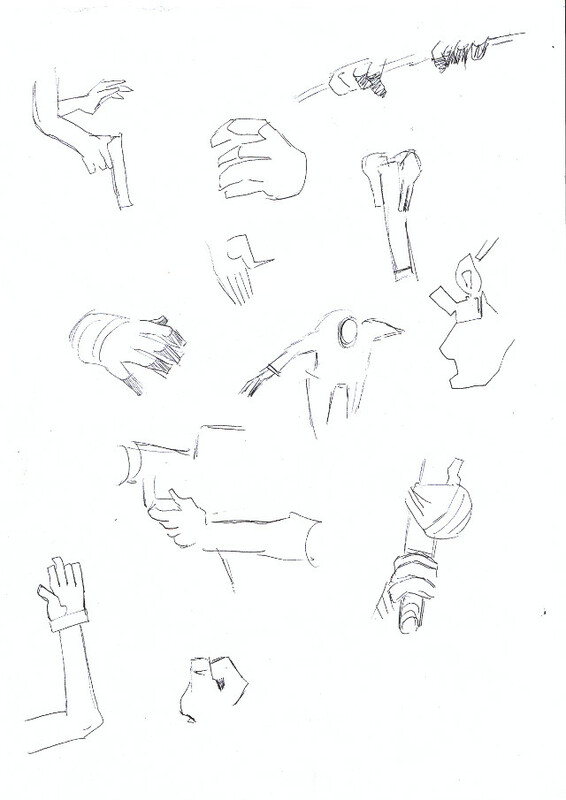 Of course, there are exceptions, so try to work on your own styles as well. Eyes are the windows to the soul. In so many ways, the eyes make the character. 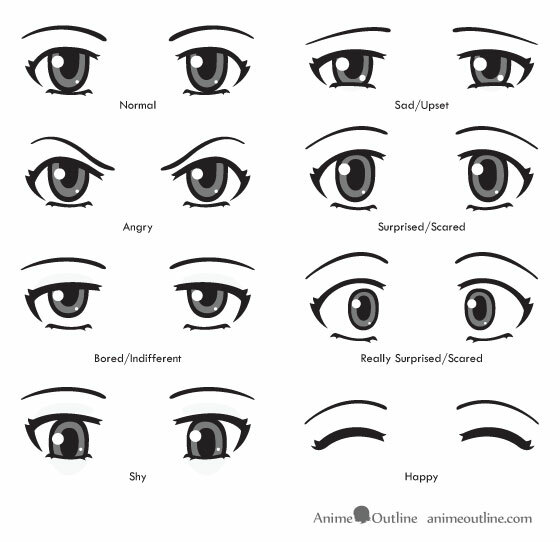 If the reader cannot see their emotion or identify with them by their facial expressions, then you lose a vital part of the manga making process. Haha I'm actually going to make one for feet next. I'd have a general 'Draw 5' Anatomy workshop with a new body part every week, but I want some more workshops that members can find over time and get in and out of whenever they like. 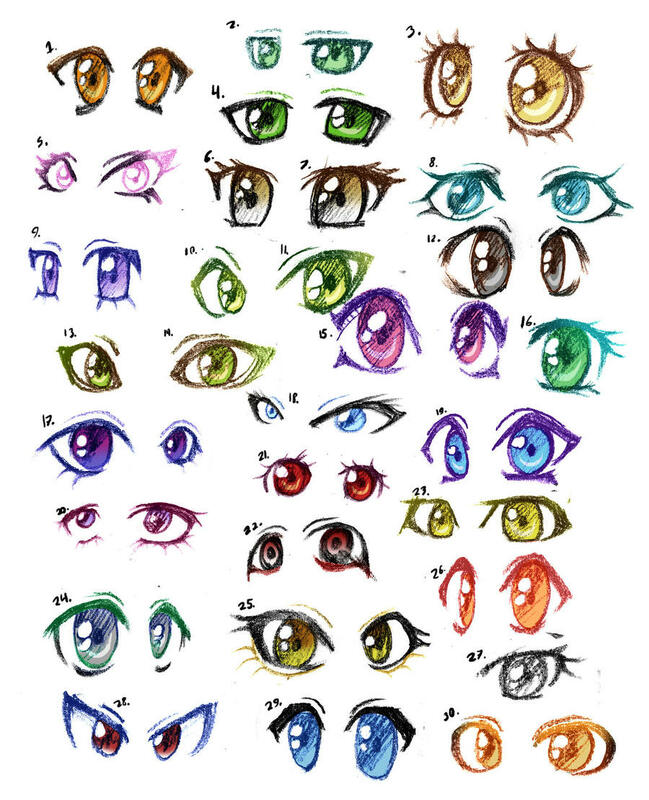 I try to stay away from the big eye style when people think of anime. I usually sketch in pencil until i like the eye design. Today i didn't because i couldn't find a single pencil in my house. 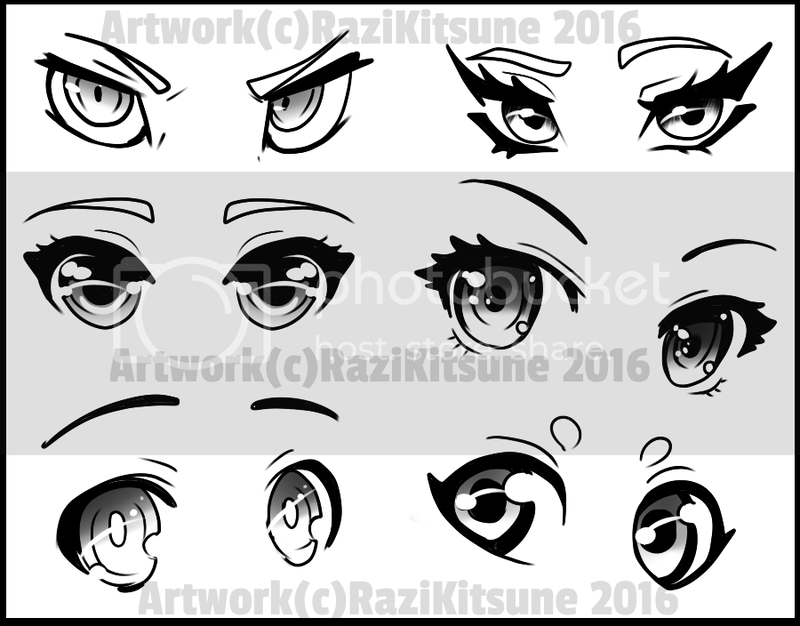 So this set is entirely done on a tablet, which i am not use to yet, but the convenience of copying the other eye comes in handy. I am going for adult eyes. Or at least, semi realistic eyes. I hope this helps. I randomly colored it in just i could make them look different. Also, it took me forever trying to come up with the shape designs. For some reason it is a lot easier for me with a pencil. I kept starting over on the tablet. Not bad Forlorn Serpent, they are all different from each other and have personality, but did you just draw one and flip? 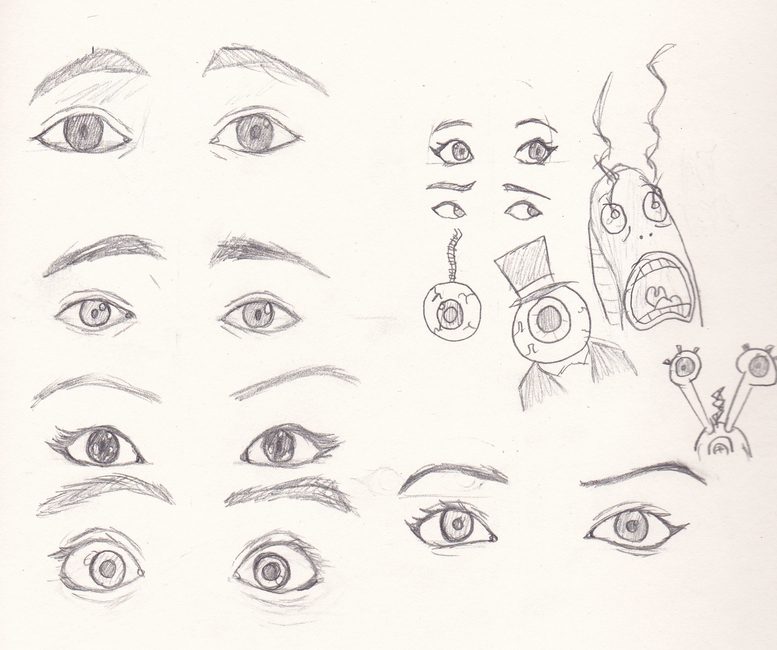 That makes it easy sure and yes drawing two eyes that look the same, super hard, but it's important to practice that. I referenced these. One thing to keep in mind is not all eyes are even. In the second one I drew Ace Frehley who has lopsided eyes. 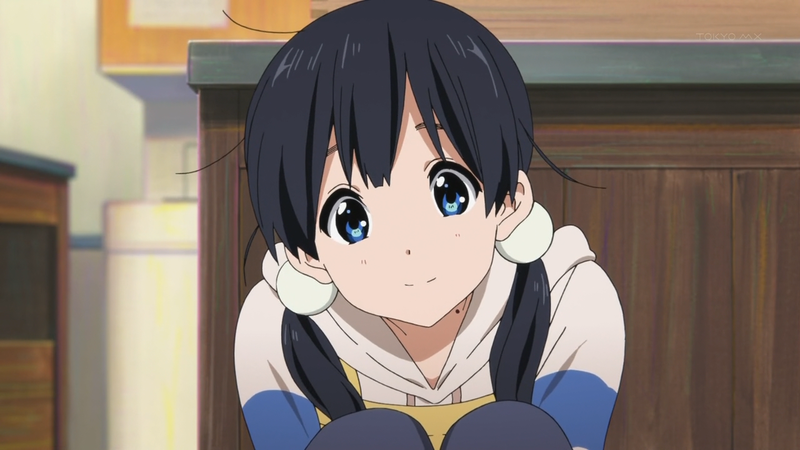 With anime eyes I like simple ones the best, Kyoto Ani are the masters of cute characters. By keeping the eye sizes smaller but still stylized they create wonderful looking characters. 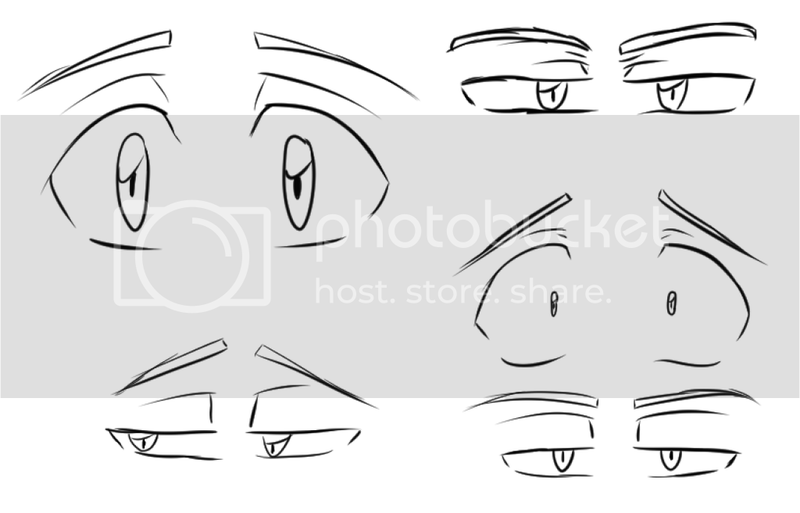 When I draw eyes in my comics I go for a realistic look with cartoony flairs. I've been working on a good look for a while. Ah man I cheated? Yeah I copied flipped each eye to make them symmetrical. I only do this when it is a straight view. I'll try again. Maninal, is that a spongebob character getting his eyes struck by lightning or something? Also, from your big eye list, left to right, top down, is it boy, boy, girl, boy, girl? I have trouble doing guy eyes. I usually look at Kubo's work for reference. Ha ha, it's alright man just some advice to help you practice. I've certainly done the same thing before, it's a temptation with digital work, but I think it's a short cut that will make you skip out on something important. That's the classic scene from the movie! Your order is right yes. Guy eyes can be hard sometimes but never forgot the best reference is real life! Forlorn Serpent, I like all the different shapes of your eyes. I personally think the green ones look best, all the detail in the iris. Even the one that looks angry/serious has a cute aura to it. I didn't notice at first but you used different types of shading techniques in your eyes and light reflections, that's cool. I like the pink one for some reason. I think because it goes well with the eye look. BobbyJoex, nice eyes. Is that the style you prefer to use? I can't add much to what others said but nice eyes there Forlorn. And yeah, Manimal is right about the lopsided thing. It actually brings out character in some cases... But there's a fine line between being innacurate and having a lopsided eye haha. @Manimal nice ones there dude. I think with the right shading your eyes could look more three dimensional. A little on the edges of the whites could make them look more circular methinks. Haha the toon ones are hilarious. I wonder if I should try referencing those. @Froggy Really like those eyes too. 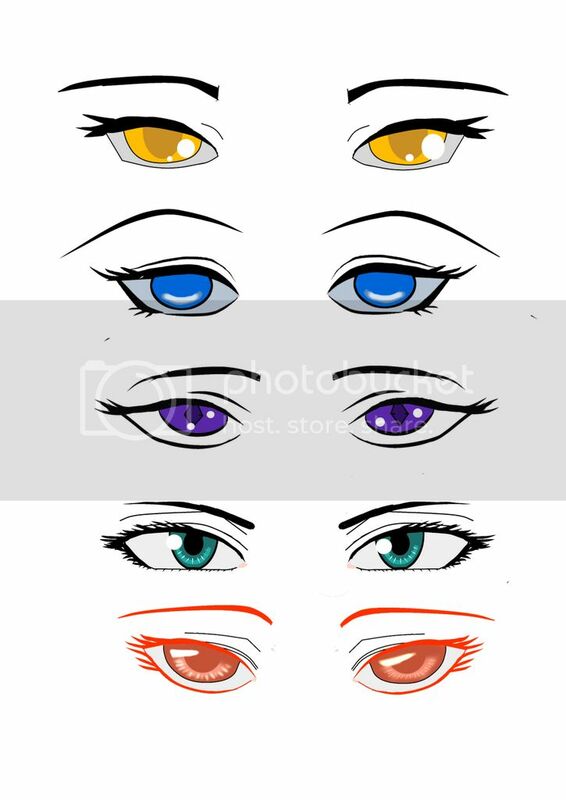 Man, colour works wonders for anime/manga eyes haha. Love the hatching and pointillation variations too. Really looks good. The blue and purple ones are my favourites. @Bobby those turned out great man. Simple but effective at showing expressions and the like. Would be interesting to see female ones. p.s, I really need to stop drawing with a thick brush - I'm such a sucker for it..